I actually liked the ‘punk’ bit of this book less than I expected to. I’m a big fan of Nick Crossley’s work – though I disagree with him on a lot of things, engaging with it was really important for developing the theoretical perspective in my PhD. I’ve read a lot of what he’s done and the punk research is by some margin the weakest element within it. It’s not my area of expertise by any means but some of the historical claims about punk seemed quite jarring to me, with the approving references to Crossley’s work being symptomatic of this. I sort of see what Beer means when he says that “the original punk movement was so short-lived and so self-destructive” but given I’ve regularly been going to punk gigs of one sort or another for well over a decade, it’s a counter-intuitive claim nonetheless. Obviously the crux here is the term ‘original’ but I think the extent of this sustained activity cannot be something marginal when discussing punk. It’s not my area of expertise by any means, but I suspect that sociologists of punk will find some of the cultural history here to be problematic. It is obvious that we are not going to reverse the apparent marketization and neoliberalization of higher education. Instead, we need to think about how we should respond. The best response, that is to say the best form of protection, is to shape a discipline that is attractive, lively, and exciting. A discipline that draws people in. This will ensure that sociology has a ready-made and substantial audience, and that it is able to attract those who will then go on to be the future of the discipline. It will also make it far more likely that value is seen to reside in the sociological project. This does not mean that we are ‘selling out’, it is not to go with the flow and to simply adopt the spirit of market-based competition into our lives. Rather it is to work towards a version of sociology that thrives under these conditions by offering an alternative voice and an engaging tone. Sociology will then thrive, because it will draw people into its debates, into its ideas, and into its findings, all of which are likely to provide alternative visions of the social world. It is about the drive of the individual to make a contribution and to sometimes look to subvert restrictive or oppressive social categories, norms, or conventions. This in turn leads punk to be open and eclectic. It is outward looking and is keen to respond, react against, or draw upon alternative cultural resources. The products of this background and approach are then often quite raw, stripped back, and fearless. A punk is not afraid of their own limitations and vulnerabilities. Nor do notions of legitimacy or authenticity inhibit them. Punk seeks to break down and transcend boundaries and obstacles and to erode the lines between the performer and the audience. Finally, we can see this form of communication operating in a terrain in which cultural expression is relatively unrestricted. The punk can then be bold and inventive in their work. Conventions do not hold them back, and the idea of playing it safe is discordant with its central motifs. The driving force here is a strong commitment to a pro-activism that is often expressed as the do-it-yourself or DIY ethic. The DIY ethic is an extension of the inventiveness of punk and affords an unbounded engagement with the cultural world. This leads punks to use the opportunities and materials that they encounter to express their creative forces. This is often highly opportunistic and is based upon the use of media and social networks in new and unpredictable ways. The punk finds a way to make things happen and finds a way to be unconventional in carving out pathways of expression and communication. 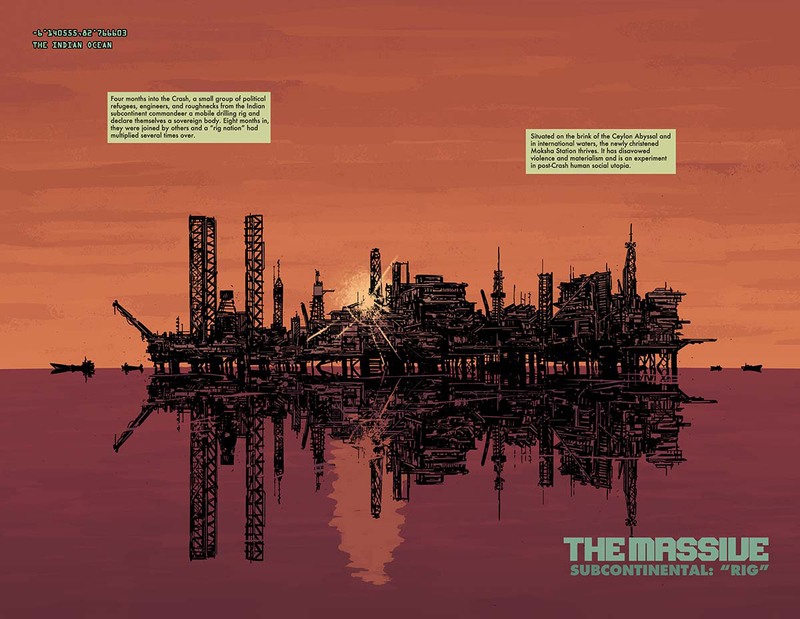 The punk adapts to the terrain in which they are operating and refuses to be restricted by the limitations of access and funding. Punk is based on resourcefulness. The punk sociologist looks to communicate widely, with various audiences, and the work they produce is direct and incisive, whilst still being lively, nuanced, and layered. The stripped-back nature of the punk sociologist’s work means that there are few barriers to communication with audiences inside and outside of academia. Indeed, its instant form is likely to attract audiences. Different types of writings might be used and different forms of communication will enable this to occur. Sometimes these will be short and punchy, the equivalent of the single in music, on other occasions they will be album-length book works that are built out of collections of punchy chapters and phrases, they might even take the form of sociological gigs with lively talks and audio-visual stimulus. The punk sociologist does not need a list of possibilities because they will look to exploit the opportunities for communication that are available and will respond to these opportunities. They will find ways around the restrictions and limitations that are there, using the means and potentials that the remediation of everyday life might bring. The punk sociologist adapts their means of communication to suit the changing mediascape and materials with which they are faced. A final note relating to this is that punk sociology should not be read as a need to simply speed up and be more responsive. In some cases this may be necessary, but we also need to protect long-term, careful, and meticulous work (such as editing, translation, longitudinal studies, reflective pieces of synthesis, retrospective books, historical and documentary studies, secondary analysis, contextual readings of conceptual ideas, reviewing, and the like). In fact, this type of work is more likely to be defended if we are to take on a more punk sensibility. This type of work is increasingly likely to be tantamount to an act of resistance or rebellion that goes against the grain of the systems of measurement of academic worth or value. 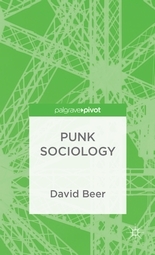 Punk sociologists, by not playing it safe and by not being dominated by such systems, are likely to actually maintain the diversity of approaches in the discipline and to add new avenues and perspectives to supplement them. *Interestingly, I don’t think he defines this term in the book. I have a clear idea of what ‘ethos’ means but I wonder how varied interpretations of this term might be.